Welcome to the mountain national parks of Canada, a rugged wilderness of magnificent peaks, massive glaciers and broad sweeping valleys. The national mountain parks of Western Canada are located in the provinces of Alberta and British Columbia. They are managed by Parks Canada. This is a special place, which represents the power of Canada’s landscape and the vitality of its culture. The mountain national parks are comprised of Banff, Jasper, Kootenay, Mount Revelstoke & Glacier, Waterton Lakes and Yoho. 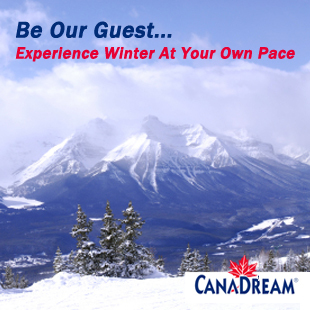 We invite you to discover their unique nature and also explore Kananaskis Country, a regional area managed by Alberta Parks. The idea of a Canada-wide system of protected areas took root in the Rockies when Banff National Park was established more than a century ago. Today this system of protected areas continues to expand as we strive to represent the natural regions of this country and commemorate the people, places and events that define Canada. The Canadian Rockies are blessed with two UNESCO World Heritage Sites. Banff, Jasper, Kootenay and Yoho national parks together with Hamber, Mount Assiniboine and Mount Robson provincial parks constitute the Canadian Rocky Mountain Parks World Heritage Site – one of the largest protected areas in the world. Waterton Lakes National Park and Glacier National Park, in the United States, comprise the Waterton Glacier International Peace Park. Parks Canada, in partnership with First Nations and Metis communities, the provinces of Alberta and British Columbia, local municipalities and the tourism industry, is committed to offering world-class heritage experiences and quality services. For a taste of the natural beauty and varied scenery of the National Parks, click the links below. Each link will take you to a Google Maps “street” view from the park. We’ve embedded the Cave and Basin National Historic Site map below for an example.